Open Your Heart and Your Home – Foster Today! The shelter takes in many expectant moms, very young puppies, kittens & animals with special needs. If they can spend time in a foster home their survival rate increases greatly, and they come back well adjusted & ready for adoption. For more information contact the Foster Program at the shelter. CLICK to Apply to Foster NOW! You meet great people who share your passion and love for pets. A family affair – fostering a pet allows your entire family to participate in a volunteer activity. A foster will kiss you … even when you have morning breath. There is nothing better than puppy breath (except maybe puppy kisses). It is companionship without a lifetime commitment. You can foster one pet. It can be just a few days, few weeks, or a few months. It can be as long or short as you like. It is emotionally rewarding to see the life come back into an abandoned pet’s eyes and know that YOU help put it there. Fostering is proof that God does exist! Who couldn’t use a little more unconditional love? You get pure joy. The memories that warm your heart and touch your soul. For every one pet you agree to foster, there are ten others who will never get that opportunity. If you’re not sure if the animal will fit into your family you can Foster to Adopt. This program lets you pay $20 (non-refundable) and take the animal home with you for up to 30 days to see how things go. If it doesn’t work out, you can return the animal anytime during the 30 days, if you are happy with the animal and it works out in your home you can come and adopt him or her. The $20 will be deducted from the adoption fee. If you’re ready to make the loving leap of caring for a foster animal please complete the Foster Care Application and bring it to the shelter to get started. An application must be completed and approved before taking an animal out of the shelter. You must understand and consent to a home visit. This is a one-time visit event that would be prearranged. It may never be requested but is necessary to have prior consent in case of suspicion of neglect or cruelty to any shelter animals. You must understand that not all animals in foster care are house trained ; therefore , HOPE Humane Society is in no way liable for any and all damages to flooring, furniture, or any of the property that the animal may come into contact with. Once animals are in foster care they are the responsibility of the foster parent. Animals are not to leave their custody for any reason without direct consent of an authorized HOPE Humane Society employee. The animals are still the property of HOPE Humane Society and may be reclaimed at any time for any reason. Dogs should not be off leash outdoors unless under supervision in a secure fenced yard. Cats are not to be let outside once in foster care. Any health or temperament concerns noticed while in foster care are to be addressed immediately to HOPE Humane Society staff. 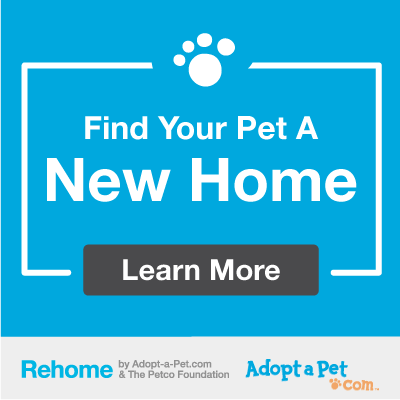 All foster homes need to be equipped with a room in which to separate or quarantine the foster animal away from other pets in the ho me if necessary. This is for the safety of the foster animal, and the safety of your own pets. HOPE Humane Society is not responsible for treating personal pets if they become ill.
All foster animals will be returned to HOPE Humane Society to be spayed/ neutered, given all vaccines, and any other medical treatments. DO NOT promise any animal in foster care to any person that hasn’t been approved by HOPE Humane Society. Foster families may only adopt one animal that is in their care per year after approval from HOPE Humane Society. All others will be put up for adoption at the shelter. Any breach of these terms and conditions of the foster care program will result in immediate seizure of any foster animal(s) in your care. Your pet will need time to adjust to its new home, and the transition may be somewhat stressful. An animal that displays a happy, playful attitude at the shelter may act wary and fearful in a new environment. Watch for cues about how your pet is feeling. If your pet seems timid, try to move slowly, or just sit in the same room reading a book and let your pet come to you. If your pet is full of energy and ready to play, get out the toys right away. But be cautious. Pets can be both scared and full of energy. Modify your actions to make your new pet feel welcome. The care you take with your own behavior in early days will pay off in the future as your pet learns that you are someone to trust. Many animals coming from the shelter have been in a cage or kennel for days or weeks before arriving at your home. To have the run of an entire house can be overwhelming, especially if it happens too fast. Resist the temptation to let your pet run loose in the house during this first week, especially if you have other pets. Give your new dog a week or more to settle in and feel comfortable with her new environment. If your new puppy or dog seems comfortable and relaxed, meaning not hiding and is willing to come to you for affection and food, you can provide access to other areas of your home. If your new dog is your only pet, you can give him the chance to explore. Before you begin, be sure any off-limits areas (basement, attic, garage) are not accessible, so the first big tour doesn’t end up in a frantic search. Try introducing your dog to other parts of your house while on leash, so you can provide understanding of where and where not to go. On your first tour, walk around each room and let your pet sniff everything. If your pet tries to jump on something off-limits, calmly redirect him to an appropriate area. Pet or play in these accessible areas to associate these locations with positive things. Depending on your dog’s nature, you may need to give several “guided tours” on a leash before your pet understands how to behave in the house and which areas are accessible. Puppies should stay in a limited area in your home where you can supervise them until they are house-trained. Some animals respond very well to an expanded living area. Others become frightened and retreat. If your pet seems more nervous now that you have given more access to the house, slow down the introduction process to match comfort level. Some dogs feel safest in a relatively small area, only willing to explore other parts of the home if you accompany them. Every animal is different. Get to know what your pet prefers and try to support those preferences. Because cats are more “creatures of habit” than dogs, a cat may choose to hide under a bed or in a closet for the first few days. Don’t force interactions. Set up a small, quiet area for your new cat to help establish a safe and secure environment. Give your new cat a week or more to settle in and feel comfortable with her new environment. It’s best to confine to a single, quiet room with the cat’s own litterbox, food dish, and a box or bed. Use this time to make sure your new pet is healthy by keeping your appointment for the free physical exam. If your cat seems comfortable and relaxed, meaning not hiding and is willing to come to you for affection and food, you can provide access to other areas of your home. If you have other pets, follow the steps for successful introductions. If your new cat is your only pet, you can provide the chance to explore. Before you begin, be sure any off-limits areas (basement, attic, garage) are not accessible, so the first big tour doesn’t end up in a frantic search. When you’re ready, open the door from your pet’s room and sit just outside. Encourage your cat to come to you, then reward with attention or a treat. Staying seated, let your cat wander freely. If the cat seems comfortable after 15 minutes, get up and go about your business in the house, but stay near enough to make sure there is no trouble. Restrict free time to less than an hour at first, but gradually lengthen it until your cat or kitten is out in the house whenever you’re home. Once your cat has found places to play and relax, move food, water, and litterbox to their permanent location. If you’re moving the litterbox a long distance (from an upstairs bedroom to the basement, for example), set up a second box in the new location, but leave the first one in your cat’s special room until the second one is used on a regular basis. If there are places your cat is not allowed to go – tabletops, counters, plant shelf – establish those rules during the first tour of the house. Placing double-sided tape on counters and tables can help teach your cat to avoid these surfaces. Rattle a can full of pebbles as your cat approaches off-limits areas to help associate the behavior with an unpleasant noise. Don’t allow your cat the run of the house when you’re not around until you’re confident the “house rules” are understood. Some animals respond very well to an expanded living area. Others get frightened and retreat. If your cat seems more nervous now that you have given more access to the house, slow down the introduction process to match comfort level. Some cats feel safest in a relatively small area, only willing to explore other parts of the home if you accompany them. Every animal is different. Get to know what your pet prefers and try to support those preferences. Keep your cat indoors. Predators, disease, fast-moving cars, and toxic chemicals are just a few of the dangers cats face when allowed to roam outdoors. If you want your cat to experience the great outdoors, use a harness and leash and accompany him as he explores your yard. Always keep a collar and ID tag on your cat in the event he should accidentally get off leash or escape the house. If you already have pets at home, you are no doubt looking forward to a happy, harmonious relationship between all your animals. Follow the guidelines listed here to give everyone the best chance for a lasting friendship. When you’re introducing two dogs to each other, first impressions matter. How the dogs interact in their first few encounters can set the tone for their entire relationship, so follow these steps to set their relationship up for success. Throwing them together in the back yard and letting them work it out can lead to heartbreak, and occassionally serious injury, if the integration fails. Keep this meeting on neutral territory like a neighbor’s yard, a training center, or a tennis court. Have both dogs on-leash. Take the dogs for a walk together, keeping 10 feet between them so that they can’t greet each other or stare. The idea is to acclimate them to each other’s presence without causing tension. First in the yard, then inside the house. Before the in-house introduction, take the resident dog out to the yard, then bring your new dog inside. Bringing the new dog inside to meet your resident dog can cause a negative reaction. Keep each interaction short and pleasant. If signs of tension arise, separate the dogs immediately and try again later. Remember that the introduction will set the tone for their relationship, so it’s important to set everyone up for success. Either in separate rooms or crates. This is both to prevent fighting and injuries, and to prevent your new dog from developing behavior like chewing and housesoiling. While dogs can settle minor disputes with each other (such as growling the other off of a toy or their own food bowl), they shouldn’t be limiting each other’s access to you, your family or common areas of the home. In multi-dog households, there isn’t usually a dominant dog or submissive dog. Instead, dogs’ roles change depending on the context involved. For example, a dog that claims access to a favorite toy may let the other dog claim the couch. Reward polite behavior and manage the environment to prevent conflicts from developing. For more information, see the booklet “Feeling Outnumbered? How to Manage and Enjoy Your Multi-Dog Household” by Karen London, Ph.D. and Patricia McConnell, Ph.D. Despite the stereotype, many dogs and cats learn to live together peacefully. Be patient and take the introduction process slowly, but know that whether or not your pets get along will also depend on their individual personalities. Follow these steps to maximize the chances of success. Keep the pets separate for at least the first 3-4 days. Prevent any contact until your new pet has had his vet checkup and been cleared of illness. Confine your new pet in a sanctuary room with the door closed or a separate floor of your house. The goal is to allow the pets to get used to each other’s presence without face-to-face contact. Even if they can’t see each other, they can hear and smell each other. The idea is to teach them to associate the presence of the other pet with pleasant things, such as food. With each feeding, move their food bowls a little closer to the closed door. Continue this process until each pet can eat calmly right next to the door. If your new pet is a dog, start teaching him basic obedience cues, such as “sit” and “down.” Keep training sessions short, pleasant, and rewarding for the dog. Once your pets can eat their food calmly right next to the door, conduct meet and greets in a common area of the house. Don’t use either animal’s sanctuary area. Keep the first few sessions short and calm. Keep the dog on a leash and let the cat come and go as he wishes. Do not restrain either pet in your arms, as injury could result if either pet behaves aggressively. Ask the dog to sit and reward him with small tasty treats for calm behavior. Give your cat treats as well. If either pet demonstrates aggression, calmly distract and redirect them. Toss a toy for the cat to lure him from the room, or call the dog’s name and reward his attention. Return the pets to their confinement areas. Repeat these face-to-face sessions daily. Save your pets’ favorite treats for when they are together. If the cat attempts to leave the room, allow him to do so, and do not let the dog chase him. Try to end each session before either pet shows stress or aggression. When the animals appear to be getting along well, allow them loose in the room together, keeping the dog’s leash attached and dragging on the floor so that you can step on it and prevent him from chasing the cat if he gets excited. If tension erupts, go back to the earlier introduction steps and repeat the process. Make sure the cat has access to a dog-proof sanctuary room at all times. Continue to separate the pets when you are not there to supervise. Thinking of adopting a second cat? Here are some tips that can increase your chances for establishing a peaceful multi-cat home. Don’t worry too much about the gender of the cats involved. Age and temperament are the most important factors. Adult cats will usually accept a new kitten much more easily than they will accept a new adult cat. Cats are territorial, and your cat may resent an adult feline intruder. If you’re able to choose from a group of kittens, avoid a kitten that’s hissing, growling or engaged in serious battle with his mates. Prefer to adopt an adult cat? Success depends largely on the personality of your present cat: if he’s easygoing and the new cat is also laid back, you may have little trouble if you introduce them slowly and correctly. Cats are solitary and highly territorial creatures that often require weeks or months to adjust to changes in their environment and lifestyle. For that reason, first impressions are extremely important when meeting other household pets. Cats that are introduced too quickly and fight may never learn to coexist peacefully. When you bring your new cat home, confine him to one room with his own litterbox, bed, food, and water (we refer to this as a “sanctuary room”) for a week, or at least until he has been examined by your vet. At the next meal, place the two cats’ bowls on either side of the door to that room. The aim is for the cats to associate the pleasurable activity of eating with the presence of the other cat. Gradually move the bowls closer with each feeding. When they can eat calmly with both bowls directly across from each other, open the door a crack – for just a few seconds – so they can see each other as they eat. Once the new cat seems comfortable in his new surroundings, is eating well, and using his litter box, confine your resident cat in another room and let the new cat explore the house. This allows the new cat to come in contact with the resident cat’s scent without direct contact. Another option is to exchange the cats’ bedding for a night. Monitor the cats’ first encounter closely and limit the time they spend together at first. Some display of fearful or aggressive behavior (crouching, hissing, ears back) is to be expected, but you want to avoid letting them establish a pattern of aggressive or fearful behavior, which may be difficult to change. If these behaviors intensify, separate the cats again and go back to step one. If an actual fight breaks out, throw a towel over them (to distract them) or make a loud noise to separate them. Lure the new cat back to his sanctuary room (don’t pick him up while he’s still aroused) and give them a few days to calm down. Do not hold either cat in your arms during introductions: if either one reacts aggressively to the other cat, you could be scratched or bitten. Continue to provide supervised encounters with both cats, watching closely for signs of tension or aggression. If one cat appears to be freezing, staring or fixating on the other cat, have some treats or fun toys nearby to direct them away from each other. This will also continue to teach them that good things happen when the other cat is near. Be sensitive to what a big change this is for your resident cat. Give him the security of his usual routine and his own special time with you. Keep in mind that “success” doesn’t necessarily mean your cats will be best buddies. Some cats become bonded to one another while others spend the rest of their lives avoiding and hissing at each other. Realize that either of these scenarios might happen. Your goal in facilitating introductions is to set the stage for the cats to peacefully share their living quarters, but understand you simply cannot “make” them like each other. This process takes time: count on 2-4 weeks if integrating a kitten and an adult, and 4-6 weeks (or longer) if integrating two adults. While following this protocol will maximize your chances of success, know that some cats simply never learn to coexist peacefully. If you have followed the introduction process and do not see any improvement after a month’s time – especially if one cat is terrorizing or injuring the other – long-term success may be unrealistic. Rehoming one of the cats or keeping them permanently separate may be necessary for everyone’s safety. Caring for a pet can be a wonderful way to teach your children respect and compassion for all living things. Make it clear to children that pets are not toys. Animals must be treated gently and handled with care. Young children must never be left alone or unsupervised, with any animal, even for a moment. Although children can participate in light-care activities like grooming and playtime, a parent must be fully prepared to be the primary caretaker. Even the most docile of dogs can cause harm if teased or frightened or if his/her prey drive is triggered. As a parent, it’s up to you to teach your dog appropriate behavior, as well as teaching your children how to behave around pets. Socialization and obedience training are key to preventing undesirable behaviors in dogs. Call us at 479-783-4395 if you need assistance with your pet. Teach your children to treat animals with respect. Show them how to approach and touch dogs properly. They must never provoke a dog into growling, barking or lunging. Help children understand canine body language so they can recognize when a dog is friendly, fearful or aggressive. When a child greets a dog, move slowly and offer the dog the back of a hand to sniff before petting. Petting the dog under the chin or on the chest will be less threatening to the dog than petting the top of the head. Children should not encourage a dog to chase them. Quick movements and high-pitched voices can trigger a dog’s attack-and-chase response. Avoid tug-of-war games, as this sets up a competition between child and dog. These games often over-stimulate a dog and can encourage the dog to grab at hands and clothes. Teach children to respect a dog’s privacy. Never allow a child to disturb a dog while eating, chewing on a bone or toy, or sleeping. Dogs are naturally territorial and may growl, snap or bite to protect their possessions. Tell children not to look a dog directly in the eye. In dog language, a stare is a threat and may trigger the dog to act dominantly or aggressively. Your new cat or kitten will need several days to adjust to its new home, so limit your child’s interaction to gentle petting, and only when the cat approaches. Do not allow young children to pick up, carry or put their faces close to the animal. Sudden movements and loud noises can easily frighten your pet, so children should speak and sit quietly around the cat.